Have you noticed the nights getting lighter where you are? I normally don’t notice a change until the end of February when it is light when I leave work, but as I am at home on maternity leave at the moment, I have begun to notice it considerably earlier. 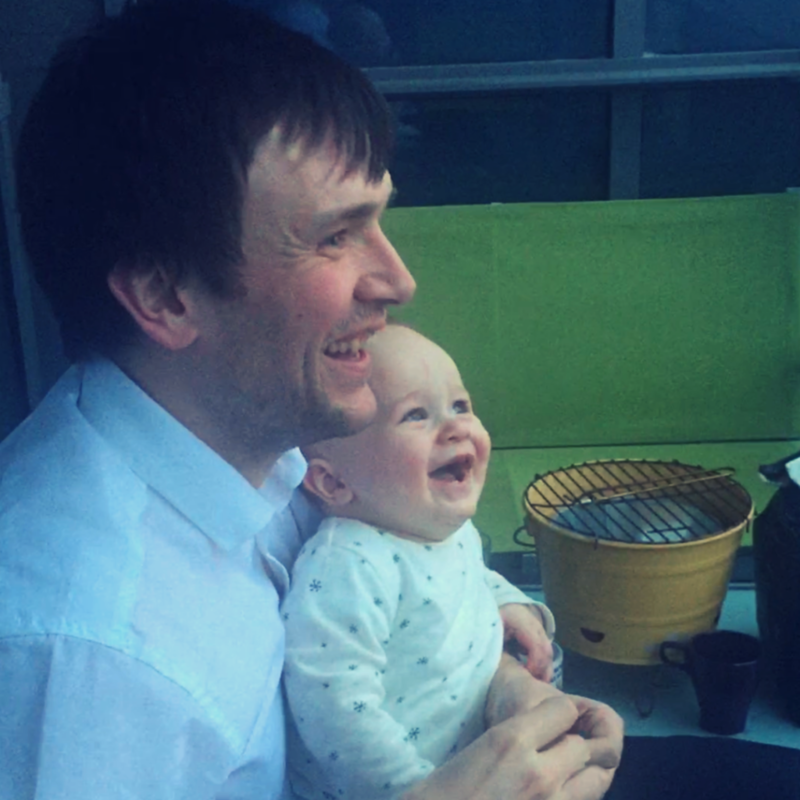 It’s lovely that this means Daddy and Dex get a few extra precious minutes together in the daylight, so this week they went out on our balcony together to feed the seagulls. Dexter adored watching Daddy throw the bits of bread off the balcony’s edge. The seagulls fly along side our balcony and try to grab them before they hit the water. It resulted in a really infectious giggle from Dexter. You can see a video clip of it on my Instagram here. We are so lucky to live alongside such a beautiful waterfront. The view of the sun setting is truly spectacular. His laugh in that video is beautiful! Such a proper belly chuckle!! Lovely to have captured such a sweet moment between father and son, I’m sure Dex will love seeing that when he’s older!